Nicknames: When a baby was born, it was a very big deal. The birth celebration might last for four days. Sioux children were not given names when they were born. They were given nicknames. Additional nicknames would be added all their lives. As they grew older, some children won names by doing a brave act. Others won names by showing a special talent such as being a wonderful hunter, a marvelous beader, or a great storyteller. Punishment: Sioux children were never spanked or hit. It was punishment enough to be given a stern look. If they were really bad, they might be scolded in front of the whole village, but those were very rare cases. The children were rarely bad. It was embarrassing to be bad. Your bad actions would most probably be rewarded with a nickname that could embarrass you forever. Education: Boys were taught by their fathers. Girls were taught by their mothers. Everyone in the village looked after the children. The children were the future, and they were protected. 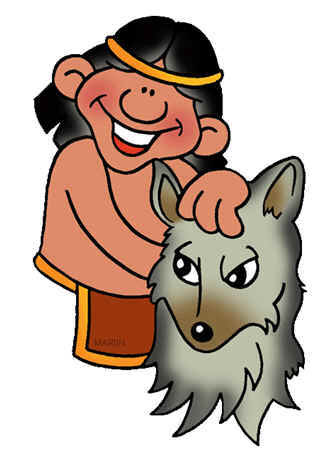 The Sioux Indians taught their children tribal customs and Sioux beliefs by using stories and games. They also taught them to recognize and write pictographs and symbols.